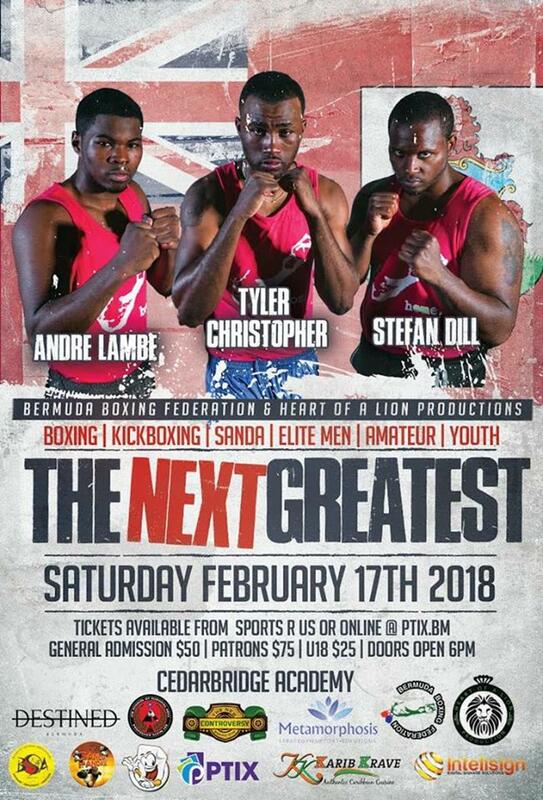 The Bermuda Boxing Federation in conjunction with Heart of a Lion Productions will be hosting “The Next Greatest Amateur Showcase” on Saturday, February 17th at CedarBridge Academy Gymnasium, with the event poster featuring Andre Lambe, Tyler Christopher, and Stefan Dill. Doors will open at 6pm and general admission ticket are $50, patrons are $75, and tickets for under 18 are $25. Tickets are available from Sports R Us or online at ptix.bm.